Visiting a variety of employers offered a rare insight into Chinese business culture. My colleague and I had no tour guides or pre-arranged travel plans.Â There were no car services waiting when we landed at each airport or daily transportation guides. (And that’s quite tricky when neither my colleague or I spoke fluent Mandarin or Cantonese) Â As a result, I gained an invaluable experience of the cities and the people through an unfiltered lens. Over the next 4 blog posts, I’ll share some of my discoveries as they may be helpful to your current or future travels. One of my biggest revelations was cultural. 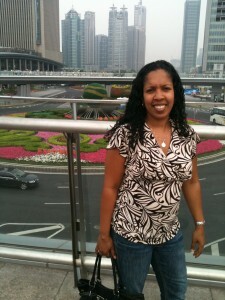 Prior to my travel to China, I thought I had awareness about what it meant to be American, female and African-American/Black from an international perspective as I’ve traveled to numerous international locations.Â But I left for my trip to China unsure of how I would be perceived or treated in my daily interactions. Would I be well received or would my trip be plagued with uncomfortable moments of racism? There are plenty of blogs and comments posted on sites such as TeachAbroadChina.com, Chinese-Forum.com, TheBeijinger.com and Shanghaiist.com, from people with mixed opinions about what I might experience during my trip. My three weeks expanded my cultural awareness and taught me a new aspect of what it means to be a foreigner. During my travels, I was regarded as either Chinese or foreigner.Â My race and other “ismsâ€ were viewed secondary as the overall category of being “non Chinese.â€Â And being “non Chineseâ€ did not come with second class treatment.Â I was treated warmly or with the same regard as other travelers in daily situations.Â Customer service settings were friendly and courteous.Â I specifically remembering visiting several high-end stores one day dressed in very casual clothes.Â Rather than someone trailing me or judging whether I could afford the item, I was given plenty of space to wander, yet received extremely attentive service as I asked questions or tried on multiple sizes. Experience after experience supported this idea, from my visit to the hutongs of Beijing to my daily meals where I had to explain to Chinese waiters that I was a vegetarian in a language that has no direct translation for someone who doesn’t eat meat.Â No one stared when I was in areas away from main tourist destinations or the center of the city where few folks of color travel.Â And no one made me feel anything but comfortable as I navigated in cabs from building to building throughout the cities.Â It was a new experience and, personally, very freeing. If you are interested in learning more, stay tuned to the next installment of this blog and I’ll share more of my findings about navigating China for business. 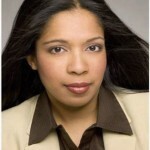 Malla Haridat, founder and CEO of New Designs for Life, is a nationally recognized expert in the specialized field of entrepreneurship education and has trained more than 1,000 students. She has traveled extensively throughout the United States working in partnership with companies developing creative solutions for entrepreneurs and intrapreneurs. A dynamic thinker, strategist, and speaker, Malla now works with a wide variety of organizations, applying her creative talents to the challenges of business transformation. 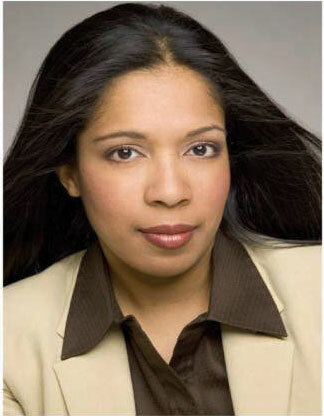 Her company was awarded the 2005 New York City Small Business Award of the Year by New York Mayor Michael Bloomberg and has been featured in publications such as The New York Times and on Martha Stewart Radio.